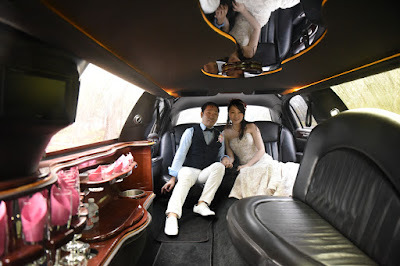 Photographer climbs inside the Limousine for a great shot. Nice to travel in style like this on your special day! Live it up and enjoy.